The U.S. Federal Reserve is widely expected to hike its policy rate by another 0.25% when it meets this Wednesday. The question that is being actively debated is whether it will also adopt more dovish language in its forward guidance (and the answer could impact Canadian mortgage rates). The consensus expects (and hopes) that it will. U.S. equity markets have taken a pounding of late (the S&P 500 Index has dropped by 12% since its 2018 peak on September 21). A growing number of market watchers are forecasting slowing U.S. economic momentum in 2019, and recession fears are rising. Those fears are evident in the spread between 2-year and 10-year U.S. treasury rates, which has now narrowed to almost zero. If that spread goes negative, history says that a U.S. recession will more than likely follow (see chart). To recap, when the Bank of Canada (BoC) met in October, it raised its policy rate by another 0.25% and declared that our economy was operating at its full capacity. The Bank warned that it would need to increase rates by another .75% to 1.75% in order to keep inflation near its 2% target, and it removed the reassurance that it would apply “a gradual approach” to additional hikes from its policy statement. Not surprisingly, the consensus warned that mortgage rates were about to move materially higher. Nobody said that the BoC’s job was easy, especially today. On the one hand, the Bank may believe that it needs to raise its policy rate pre-emptively to stay out in front of rising inflationary pressures, but on the other hand, if our economic momentum has already begun to slow naturally, incremental rate hikes risk doing more harm than good. Last week BoC Deputy Governor Carolyn Wilkins gave a speech about how the Bank’s monetary policy framework is evolving. In the Q & A session afterward she commented that the BoC may end up being a victim of its own success because if its policy-rate rises keep inflationary pressures contained, observers might say that the Bank’s monetary-policy tightening was unnecessary. What she didn’t say is that in such a circumstance, because some of our economic momentum will need to be sacrificed at the altar of price stability, criticism may still be warranted. After all, over-tightening monetary policy also controls inflation, but at too high a cost. I see that as the BoC’s biggest risk in the current environment. The Bank of Canada (BoC) recently warned that higher interest rates will likely be required to keep inflation near to its 2% target. That view, however, is underpinned by what many consider to be an optimistic assessment of our current economic trajectory. The Bank is predicting that accelerated business investment, increased demand for labour and resilient consumer spending will push our economy closer to its maximum capacity and fuel rising inflationary pressures. That said, the BoC also insists that it will be guided by the incoming data, and if that’s true, one wonders what data it is seeing that so many others, myself included, are missing. Last Tuesday senior Bank of Canada (BoC) officials spoke to the House of Commons Finance Committee and reiterated the Bank’s intention to continue raising its policy rate over the near term. BoC Governor Poloz assessed that our current policy rate of 1.75% “remains stimulative” and that it will need to rise to between 2.5% and 3.5% in order to keep inflation close to 2.0% (which I detailed in last week’s post). Both he and BoC Deputy Governor Wilkins sounded upbeat about our current economic momentum, and they expressed confidence in our economy’s ability to handle additional rate hikes. While Governor Poloz restated that the Bank would be guided by the incoming data and would not operate on a predetermined path, he left little doubt that the BoC expects to keep raising rates over the near term. Interestingly, the data may test the veracity of that claim in short order. The Bank of Canada (BoC) is widely expected to increase its overnight rate by another 0.25% when it meets this Wednesday, and if that happens, variable-rate and home-equity line-of-credit (HELOC) borrowers will see their rates rise by the same amount shortly thereafter. Our trade uncertainty clouds have finally parted. NAFTA has been replaced with the USMCA, and our policy maker’s worst fears of an escalating tariff war with our largest export partner can now be put to rest (subject to each member country approving the new agreement). Our economy grew faster than expected in the second quarter. In its July MPR, the Bank projected annualized second quarter GDP growth at 1.9%, but our actual result came in much higher, at 2.9%. Canadian businesses are upbeat. The BoC’s latest quarterly Business Outlook Survey, which was completed just before the USMCA was signed, showed that Canadian businesses were optimistic about future sales and already inclined to invest in productivity enhancements and expansion. That is encouraging because the BoC is hoping that business investment and rising export sales will replace consumer spending as the main drivers of our economic momentum. CIBC Chief Economist Avery Shenfeld recently noted that the BoC is likely “to sound sufficiently hawkish to justify the pain that rate hikes impose on debtors”. Essentially, the Bank’s words need to back up its actions. All that said, the bond market’s reaction may well boil down to the inclusion or exclusion of the key word “gradual”. U.S. Inflation Slows, But for How Long? 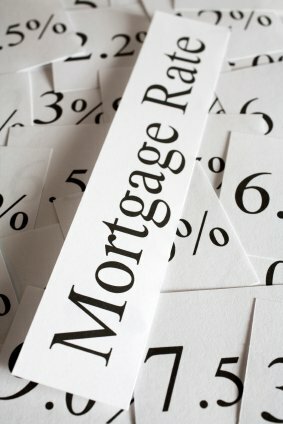 If you’re keeping an eye on Canadian mortgage rates, you would be wise to keep your other eye focused on what is happening south of the border. For better or worse, our economy is deeply linked with the U.S. economy, and while that means that strong U.S. economic growth is currently helping to fuel momentum here at home, it also means that rising U.S. inflationary pressures, if sustained, will work their way north of the border through our extensive trading relationship. That will likely cause the Bank of Canada (BoC) to raise its policy rate, which our variable mortgage rates are priced on, more quickly than it would otherwise. At the same time, bond-market investors will bid up Government of Canada (GoC) bond yields, which our fixed mortgage rates are priced on, in anticipation of that outcome. With that in mind, let’s look at the most recent U.S. and Canadian growth and inflation data. How Will the New USMCA Trade Agreement Impact Canadian Mortgage Rates? Fixed mortgage rates rose again last week as Government of Canada (GoC) bond yields continued to march higher, with most lenders increasing their five-year fixed-mortgage rates between 0.10% and .15%. The main catalyst was the recent resolution of the NAFTA renegotiations, which lifted a cloud of uncertainty that had been hanging over the Canadian economy for the past thirteen months. The new deal, called the United States-Mexico-Canada Agreement (USMCA), included several tweaks to the previous North American Free Trade Agreement (NAFTA), but none of them are likely to have a substantial impact on our economy. The real victory was simply that Canada would be included in this new “NAFTA 2.0” agreement and that U.S. President Trump’s most ominous threats, like slapping a 25% tariff on Canadian automotive imports, would not be realized. When the Bank of Canada (BoC) met last week, it left its overnight rate unchanged at 1.5% as was widely expected. The real question for anyone keeping an eye on Canadian mortgage rates was whether the Bank would hint at its plans for its next meeting on October 24. The futures market is currently assigning about an 80% probability that it will raise by another .25% next month. In the past, the Bank would often use language that effectively warned the market if another hike was imminent. But in a recent speech, BoC Governor Poloz conceded that the Bank is currently navigating through a period of heightened uncertainty that is diminishing its ability to offer forward guidance and that it would rely more heavily than normal on our fast-moving stream of incoming data when determining its future policy-rate path.